When you see someone whose teeth are so bright you can’t stop looking at them, do you wish you could have a smile like that? Believe it or not, having a bright smile is easier than you think. Having a white, bright smile you can share isn’t just for movie stars. It can be for you, too. Dr. Harper and his friendly, well-trained team are ready to give you the solution to whiten teeth and brighten your smile. What is that solution? ZOOM!™ teeth whitening in Ocala! What is so special about Zoom? Zoom tooth bleaching to whiten teeth in Ocala is quick–in ONE office visit! You come into our office with a less than shiny smile. We use the Zoom tooth bleaching system to whiten teeth, and you walk out with a smile you can’t help but show off. Zoom tooth bleaching to whiten teeth is easy. We prepare your gums and lips, and then paint on the teeth whitening solution. Then we shine a special teeth whitening light on the teeth whitening solution. We do this process several times while you relax in one of our comfortable chairs. Zoom tooth bleaching to whiten teeth is effective. Zoom tooth bleaching treatment can lighten your teeth four times or more. You can see a definite difference after your receive your Zoom tooth bleaching treatment. Zoom tooth bleaching to whiten teeth is so much better than anything you can purchase at the drugstore and is far less messy. No tubes of solution, no messy trays, and the results are so much quicker. 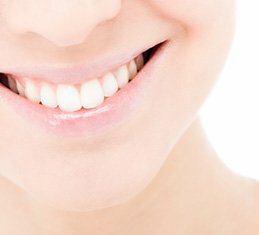 Teeth whitening at our office near Ocala and The Villages is one of the most popular cosmetic dentistry procedures around and with good reason. Unlike other procedures, teeth whitening, especially the fast-acting, one-visit Zoom teeth whitening system, gives you quick, dazzling results. For a smile that you will flash every single day, call us in Ocala today because we care about your great oral health! We are ready to take your smile to the wow level if you are in Ocala or The Villages!